Nicolas Lindholm and Ruth Fiske, during our favorite springtime activity, burning blueberry fields! The Blue Hill Berry Co. is a small family farm run by Nicolas Lindholm and Ruth Fiske. Centered in the heart of the Blue Hill peninsula on the coast of Maine, our farming operation has grown, along with our two sons, since we settled in the area in 1996. We now own and lease about ten different wild blueberry fields, totaling close to 100 acres, which are certified organic by the Maine Organic Farmers and Gardeners Association (MOFGA). ​Our work is focused on producing wild blueberries of the highest quality while sustaining optimum yields, and sharing the joys, hardships and rewards of our labors with our customers. We do the work ourselves throughout most of the year, and then hire local labor (i.e. : lots of teenagers and young adults) during the summer for our annual harvest. We also help to keep viable, beautiful farmland in our area open and productive, land that would otherwise be threatened by development or abandoned for non-farming uses. And, yes, we love what we do! The summer harvest in full swing: handraking in the sun. Nicolas, working in the winnower shed. Mission: The Blue Hill Berry Company produces and promotes local organic food, preserves open working farmland, and enhances economic activity in the area, linking environmental stewardship with a sustainable local economy. Purpose: Produce and process the highest quality, certified organic wild blueberries from fields in the Blue Hill Peninsula, which in turn will enhance local economic activity and preserve working farmland. Reasoning: Our knowledge of producing organic wild blueberries has shown us that there is not only a strong, dedicated consumer base for our product, but also a need on the behalf of landowners in our area to have their fields managed organically. Going on twenty years of experience in organic wild blueberry production, we utilize current University of Maine research to optimize the health of our fields and the quality of our yields under USDA Organic standards. We also keep significant blueberry fields in production, which are essential to our area's rural, tourist-based industry and are at the same time seriously threatened by development pressure and landowners' lack of equipment and knowledge to manage the fields themselves. 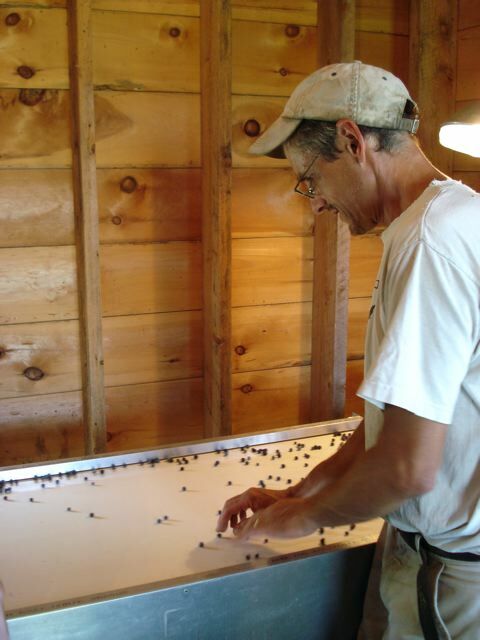 The Blue Hill Berry Co. matches environmental stewardship with healthy and sustainable economic activity.